The most common objectives that I experience when I discuss integrating blogging and social into a small business’ marketing and communication programs are 1. I don’t have the time and 2. I have no idea what I’d talk about. Both of those are blog posts onto themselves, in fact on my personal blog, I covered time management and ways to overcome that hurdle. Of the second, the issue is likely that you have much more content than you believe and just don’t know where to start. If these common issues sound familiar, then you are ready for a content calendar. Not only will you benefit from easily finding the time to create a weekly blog, but you’ll easily know what to share on your social channels. It will also provide you with a laser focus on the themes and issues that matter most to your audiences. Maybe in the past, you’ve considered them, but every time you’ve looked at one of those online content calendar templates, they look like they require a PHd in mathematics and mad excel skills, so you haven’t pursued it. Truth is, with a little bit of thought and some serious R&D (rob and duplicate) you can create your own version that will work for you. There are certain aspects of course that are fundamental to having a successful calendar and you’ll be able to easily incorporate them into whatever system works for you. In the resources below you’ll find links to deeply developed templates and easy to use online calendars (using your Google Calendar to schedule your posts). Using a content calendar will also help you to visually see what you are planning by month, quarter and year, to ensure you capture key dates; such as that must attend industry conference. Just seeing that date can provide three or more posts for you, the lead up to the event, what’s happening while you’re there and what you took away and applied to your business. It will immediately help you to identify parts of your plan that you don’t have content ready for, giving you plenty of opportunity to crowd-source topics, write a follow up on an earlier issue or find a guest post to include. Your goal in adopting and using a content calendar is to be prepared, to know what you are talking about and to ensure that it meets the needs of your audience, remember your content is looking to provide information that is useful to your audience in their professional or personal lives. The fundamental steps that are essential to an effective content calendar are: to know who your audience is and what topics they are interested in, to know what content you already have that you can use to answer their common questions and the build your calendar and put it to good use. The odds are really good that you have more than one type of audience that you need to communicate with. Therefore, you’ll need to create a few segments of your audience that have different interests or issues that need to be addressed. To identify these groups, it is best to get in touch with everyone that is client facing in your organization. Have a meeting and with their help, identify potential topics from the issue, concerns and praise that your clients, prospects, vendors, staff and partners identify about your service, products and interactions with them (whether in person or on line). From this conversation you’ll be able to identify topics to talk about, what you’re looking to add, questions about service improvement, different ways to extend the life and value of your product, new product initiatives, old product revitalization opportunities, new strategic partnerships and more, all leading to improved communications and relationships. Another great suggestion that I’ve come across is to use this time to help establish what weight do you want to give each of these different audience segments and then allocate what percent of time you’ll invest accordingly. One area to not overlook is to talk about what makes you and your working environment a great place to be. By creating content to demonstrate that your a fun, fair, exciting place to work that is creating great value for your customers can only help you identify the best and brightest to add to your team. Most organizations that I’ve worked with or have presented to, feel that they don’t have anything to talk about and don’t know where they would begin. It doesn’t take long to turn those thoughts upside down when, as an outsider to their organization and a potential customer of their product or service, I start asking questions or suggest things that I’d like to see covered in their communications. For example, I recently did a workshop for senior staff in the early childhood education community locally that are facing some difficult times as businesses. With our Province adopting all day junior kindergarten, a stream of revenue is vanishing before their very eyes. When we came to the subject of blogging and social as part of their marketing mix, a quick 10 minute chat identified a 4 month calendar of blog ideas. I was outside of their industry and it was easy for me as a parent of a child that recently got to the age that he could take care of himself to talk about information that they readily have, that I could have benefited from as a parent. No matter your industry, you have them too; presentations for industry trade shows, customer stories, customers questions that can all be turned into blog posts. Industry data from your finance department for infographics, quick and easy how to videos (for example having one of the daycare centers do a quick craft demonstration for parents to use over the holidays). Re-purposing content from previous blog or newsletter posts with updated information or sharing the best ideas of others with your own experiences woven in (like this post, with a grateful hat tip to the resources below, Lee Odden and his book Optimize and the first content calendar I used from HubSpot). Create a place where you can take stock of the content you already have, the most frequently asked questions your staff get, ideas from an industry wiki. Make it available to all so everyone can add to it as they come across additional resources or information. I use a workflow management system called Podio and keep all of my blog ideas there, where I can track them from the idea stage to publish. I can tag them for future reference and so much more. A couple of other great suggestions I’ve heard of is using a content catalog (simply an excel spreadsheet) and using Evernote (Mark Schaefer on the Grow Blog). The next step is to publish your content, track what becomes of it and then modify what you are doing (a completely different post). The key is to do more of what is generating your desired results and less of what is not. 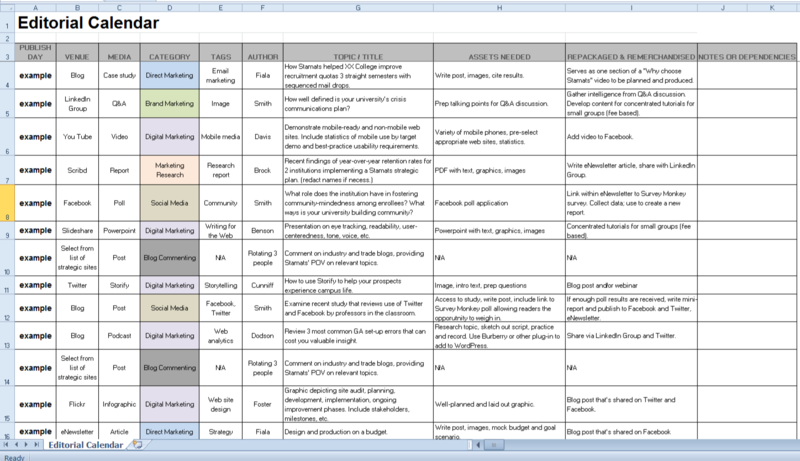 If your using an excel spreadsheet (recommended) for your content calendar here are some suggestions on how you may want to use it, by columns. The first column is for the date range going (weekly activities). The second column is where you can insert any upcoming calendar events, like Christmas or a tax deadline. The next 3 or so columns are for your topic/industry events like your industry conference, local chamber tradeshow, etc. The next column would be for any specific company events, such as a product launch, anniversary, price change, etc. 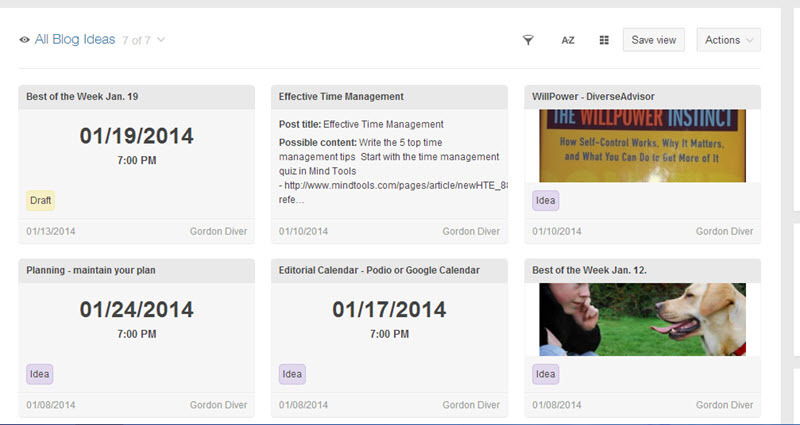 The next set of columns are for scheduling the pieces of content such as your blog, podcast, video, etc. You might consider color-coding these pieces for your various audiences. The next set will be for the social channels and distribution channels you’ll use to share your content (Facebook, G+, LinkedIn, Twitter, Stumble Upon, etc.). Each with an appropriate message for it’s defined audience. The number of columns will vary depending on the amount of content you are producing and the number of audiences you are producing for. Content marketing is key to your overall business success. It can help you find new prospects (or more accurately, let them find you), create better relationships with your current stakeholders and provide additional support to your current customers. Having an effective content calendar will keep you on track and illustrate what you have to share to make the lives of your customers, staff and business partners better. Are you currently using a content calendar? If so, what does yours look like and what successes can you attribute to it. This year as part of my overall planning, I’ve taken Chris Brogan‘s challenge/suggestion to heart and have adopted three guiding words for 2014 to use not only in my business, but in my personal development as well. Below you’ll find the 2013 and 2014 posts that Chris did in regard to his words, the process and what he’s found it means to him. I personally like the idea of having words (mental images) that I can return to when weighing decisions about how I’ll spend my time and energy. My hope, is the addition of the guiding words will stimulate more creativity and help get me back on track, anytime I stray away from the path I’m looking to take/share this year. Why adopt this challenge? It’s a good question. I was looking for a way to revitalize my planning process and the subsequent journey. In his 2013 post Brogan noted “I’ve found the concept of three words allows me to think in more dimensions about what I want to do with my life and it lets me apply lots of tangible goals…” and this resonated with me. In both of his posts (see below), he gives clear directions as to how to create yours, the words he’s used in the past and how when he experimented with 4 words once, what the result was. The process in discovering my words was easier than I had imagined. I had a good idea of what I wanted to accomplish in 2014 in the three areas of professional, personal and financial health. Lately, I’ve been reading and studying the activities of Simon Sinek and Brene Brown and the first word was very top of mind. As Brogan noted, “The words are meant to be a “shorthand” or memory trigger to your larger vision, goals and plans”. My goal is to inspire others to achieve their personal and professional goals in 2014 and beyond. For myself, it’s also a reminder to continually seek out different perspectives and ideas on ways to lead an inspired life. I’ve been fortunate to have had so many divergent influences and interests over the years that I don’t fit nicely into any one category. It’s a small problem in trying to develop a niche, but a real benefit in searching for innovated solutions to problems. Brian Fanzo wrote this post on Twitter, and I couldn’t agree more. I hope to inspire others to do so as well. I’m looking forward to cultivating stronger personal and professional relationships, with old friends and new alike in 2014. The power of social for me has been the ability to connect with so many interesting and talented people throughout the world. The next step for me is to meet some or as many as reasonably possible this coming year. 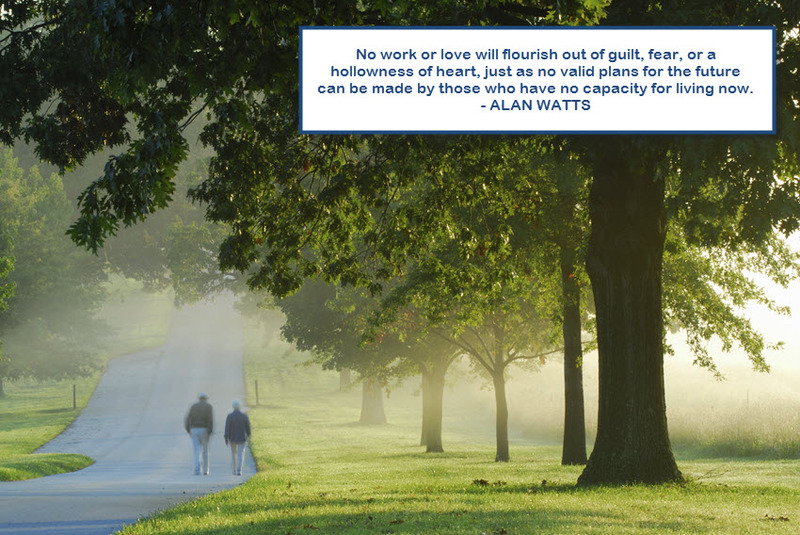 I’m looking to forge strong working relationships with others that share my passion for delivering exceptional service and who are looking to inspire their communities to achieve success and happiness. The power of social has reconnected me to folks from my past. Each have gone on to do wonderful and creative things from the last time I got to spend time with them. An example is Brett Heard. An inspiration for certain. Brett has forged a great career at Fresh Baked Entertainment. When Brett released his first, of what I’m sure will be more motion pictures, “Stag”, I got to see an early cut of the film with a focus group. The invitation to attend was a great honour, but the best part was being able to see Brett, shake his hand and congratulate him on his hard work and success over the years. It’s been a real treat watching his wonderful career and skills grow. In addition, I’ve got to see how he is a great family man as well. I really am looking forward to experiencing that feeling with others, I feel I know, but haven’t met yet this year and sharing those experiences with Joan and Spencer. Having the courage to step out of my comfort zone to achieve happiness, health and to ensure I continue to cultivate and inspire. This one will take more work, as in the past I’ve allowed myself to be sidetracked by projects that were not necessarily a good fit for my values or goals. Over the years I’ve gotten very possessive of my time, especially in carving out that time for family. I’ll need the courage to say no to projects that don’t fit, but still have the humanity to guide them to someone who may be a much better fit. I’ll need courage to avoid falling into easy patterns and to make commitments to stick to habit changes I want to push beyond settling for the status quo. So far, with these three guiding words, I’ve committed to my four “study” books for the year, a commitment to pursue podcasting, commitment to complete a couple of online courses and certifications, improve the service levels for clients, develop a proprietary online training course for a niche industry in transition and schedule opportunities to meet more people in person. I’m lookingforward to seeing the impact of these guiding intentions on this years journey. What are your words or techniques that help keep you on track to achieving your goals? At the beginning of 2013, Chris Brogan challenged his readers to pick only three books to read for the coming year. His argument was that we read so many books, without truly studying and indeed digesting the contents, central themes and takeaways from the work. I struggled mightily with the concept, as reading is a true passion and did not adhere to the full premise of the challenge. However, I did take the concept to heart and took three books that I revisited time and again in 2013. My choices were Simon Sinek’s “Start with Why”, Dave Evans (with Jake McKee) “Social Media Marketing” and Mark Schaefer and Stanford Smith’s “Born to Blog (no affiliate links, links for Sinek/Scaeffer in “Essential Reads“). For 2014, I’ve decided to maintain that tactic, but will be focusing on four books to study over the course of the year and thus the 2014 reads to stimulate success. I’ve added two additional works that I’m really looking forward to reading and owe a debt of gratitude to the authors, their publishers and others for my copies of their works. 1. 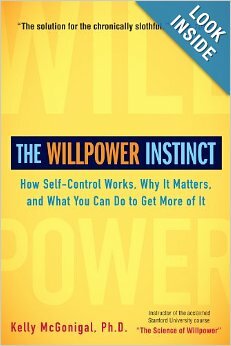 “The Willpower Instinct” – Kelly McGonigal Ph.D. Inspired to pick up a copy of the book after watching McGonigal interviewed on TVO’s the Agenda (find both segments here), I read the book in early 2013. Though the author’s instructions are precise, to read through the work in stages, taking time to work through the practical assignments at the end of each chapter, I’ve learned that I need to read the work first straight through, and then return to study it more in-depth. Thus why it is first up in 2014 and I’m looking forward to becoming a “Willpower Scientist”. 2. “The Element” – Ken Robinson, Ph.D. with Lou Aronica. Originally released in 2009, Robinson’s seminal work has inspired many educators and others alike. His witty, informative much viewed Ted Talks have inspired many of us to think about the way our children and even adult learners are being educated and how we can support the obvious need for change. “The Element” is a great work to help you find the intersection between your skills and your passion, so that you can love what you do while provide service to others. In 2013, Robinson released “Finding Your Element” that will assuredly be on next years list to study. My desire to read this book was inspired by a recent HBR article by Walter Frick. Nate Silver’s ability to distinguish a true signal from all the noise, is a skill that I believe all marketers, and indeed all decision makers will want to master, or at the very least get good at (especially if you look at my spectacular fall from first in the College Football pool). As consultants, trainers and educators of clients/staff, it is imperative that we help them learn how to make better decisions, using good data. The lack of data isn’t the problem, it is knowing how to sort all the data available to us, make sense of it and determine what is a signal or just noise. Unlike the works above, I’ve yet to read this work and I’m really looking forward to it. 4. “Leaders Eat Last” – Simon Sinek. Those are my four “study reads” for 2014 and I’m looking forward to discussing them with you throughout the year. I have to give thanks for two other books that I’m really looking forward to reading in 2014. Both came my way in the spirit of generosity and had to quickly be struck from my Christmas wish list when they were gifted. 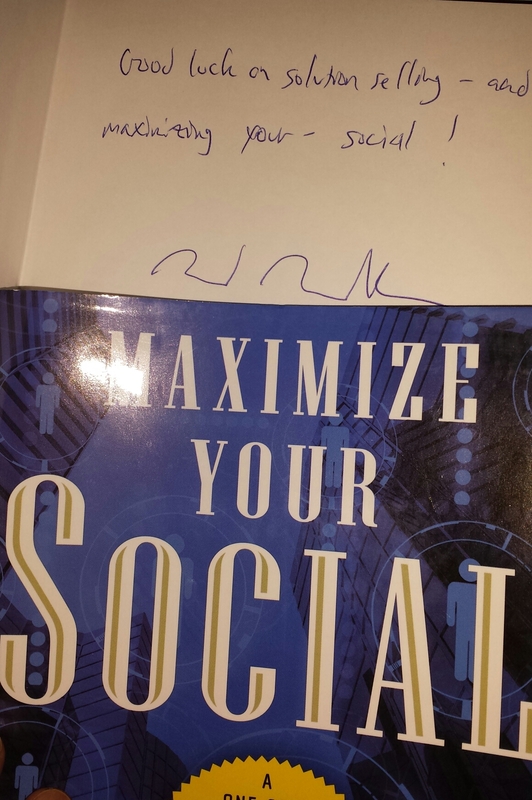 The first is Neal Schaffer’s “Maximize Your Social” that arrived very generously from Neal and Hootsuite after Neal’s very informative Social Selling webinar. The work focuses on how to build an effective social media strategy for various platforms, from inception through to maintenance. I’ll be sharing my thoughts on the work in a future blog post. Neal is one of my “virtual mentors” that I’ve followed since seriously jumping into Social in May of 2010, and I’m really looking forward to this effort, as I enjoyed his other works on LinkedIn. This signed copy will be a treasured addition to our bookshelves. I’m very grateful for Neal to share with Hootsuite and to Hootsuite for sending it on (luck of the draw). The second is a personal passion, hobby, if politics can be anyone’s hobby. I’ve been involved in politics as a volunteer for quite sometime (though stepped away from active party politics in 2010). To that end, in Canada, one of the best trusted sources of information on Canadian politics, especially provincially is Steve Paikin. Paikin is widely respected for his interviewing skills, knowledge and generosity to his guests, though he’s not one to lob softballs. A fan of sports, particularly the Boston Red Sox, Paikin always comes across as personable and someone you’d enjoy having a chat with (unless you were on the wrong side of a political story). His audience always comes first and why I’m very interested in what he has to say in “Paikin and the Premiers“. The book covers his time in broadcasting and he’s interviewed everyone one of the 9 premiers in the book. 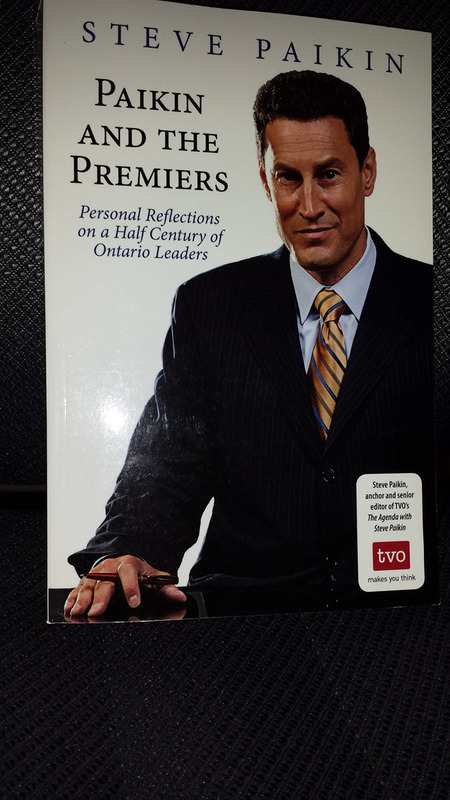 Thanks to TVO (Ontario’s public broadcaster) and to Steve Paikin for making a copy available. There are many more books I want to read and some assuredly will find themselves into posts over the course of the coming year, but I’ve taken enough of your time. What’s on your list to read this year? As a small business owner, I live by the adage that you must always be learning to grow and develop. 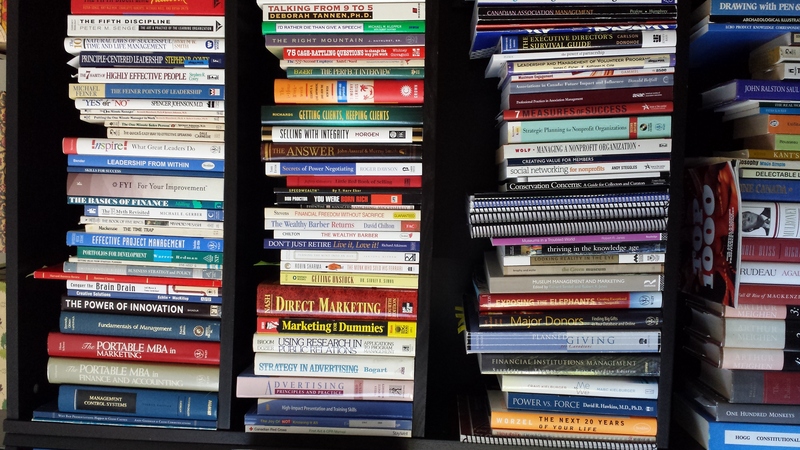 To that end I read quite a bit (as I’m sure many of you do) and I wanted to share with you some of the books that had the most impact on how I have been and will be conducting business in 2014. Not all of the books were published in 2013, however, they were revisited or in one case, updated in 2013. All have a great deal of valuable advise, strategies and tactics that the authors generously share that you can implement directly into your marketing and businesses immediately. The list is by no means exhaustive, there were many great books to dive into this year and some are on my list for 2014 (next post). The seven +1 books are in no particular order and provide a brief description of why they made my ” Essential reads from 2013″ list. I’ve provided links for each book for your convenience (no affiliate relationship). 1. New Rules of Marketing & P.R. (4th addition) – David Meerman Scott. The seminal book for all marketing, public relation and business leaders. As I understand it, this book is one of the main text used in most digital media training. The latest edition includes updates on the various platforms from previous editions and has included new platforms such as Pinterest. Full of interesting case studies and step-by-step processes that anyone can adapt to your current efforts. 1 +1 Bonus. Real-Time Marketing and P.R. – David Meerman Scott. As a bonus edition, Scott’s Real-Time makes the case for how the days of planned full on campaigns are a thing of the past. A great example is the “United Breaks Guitars” case beyond just the complaint, lack of response and infamous YouTube video, but how Martin Guitars and a deal on a sturdy travel guitar case evolved from it in real time. It’s an eye opener that illustrates the need to not only be on social, but to be paying attention. 2. Start with Why – Simon Sinek. You’ve likely seen the Ted Talk. The book gives you the opportunity to spend more time with the ideas and illustrations. As Sinek indicates, explaining “why” you do what you do and “why” it will matter to others, is clearly the hardest thing to articulate. The book provides excellent food for thought and guidance on your path. I’ve seen positive results with clients when they’ve changed the “feel” around their messages, not only in marketing, but even in calls for board members and others to share their journeys. 3. Born to Blog – Mark Schaefer and Stanford Smith. As with many I know, I struggle with writing. This book is a great resource to help you overcome the barriers that may be holding you back from reaching your audience. Filled with practical and easy to use tips, it is an edition that you will revisit on a regular basis. As a fan and devotee of both Schaefer’s and Smith’s work, it was not surprising to find that the book makes blogging accessible to everyone. 4. The Go-Giver – Bob Burg and John David Mann. Written as a parable, this book is easy to digest in a single sitting, but you’ll want to take your time with it. We’ve all experienced those moments when our backs are up against it and we’re not sure how to proceed. 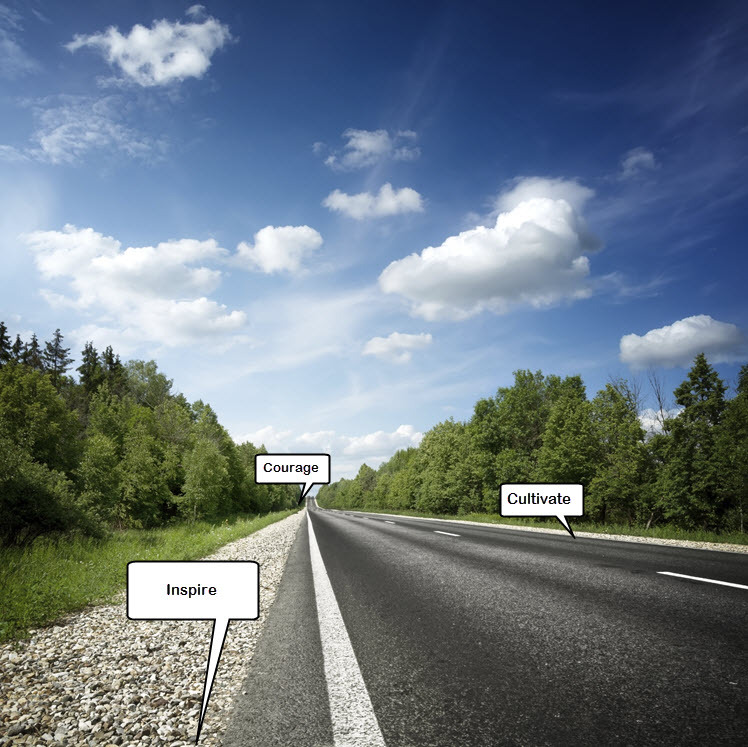 The ideas for ultimate success captured in a week’s journey are interesting and inspiring. In today’s world of instant access, remembering that old adages hold true “The more you give, the more you get”. 5. 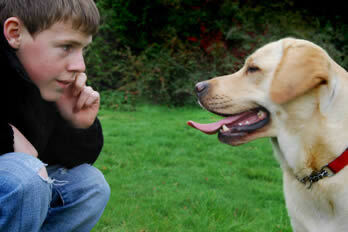 Contagious: Why Things Catch On – Jonah Berger. Berger’s research and body of work on what makes things of interesting and why they get shared is a fascinating read. Filled with illustrative case studies and examples, Contagious provides the six (STEPPS) keys that will give you ideas that you can apply to your work and markets. In addition to the book, there are free resources available at Berger’s website to help you implement the ideas. 6. Epic Content Marketing – Joe Pulizzi. Are you looking to make “Content Marketing” a central point of your 2014 efforts, then you will benefit greatly from reading Pulizzi’s new book. It is an essential tomb that will take you from the start of your journey and squarely place you on the road to success (success of course will depend on your efforts). To stand above the noise in your communities, you’ll need to be telling effective, interesting stories; Epic Content Marketing will provide you with the tools to do so, from developing your niche, understanding the content you have, and how to effectively distribute your message. 7. To Sell is Human – Daniel Pink. Hate to tell you this, but we are all in sales, no matter our roles in our organizations. You’ve been in sales from the get go, every since you learn to try and influence outcomes for what you desired. Unfortunately, sales as a term has gotten such a bad reputation. In Pink’s latest effort, we learn why we are all in sales and how to do so without being slimy or overly salesy. Using lessons from social science, Pink builds a case for how sales can and is a honorable profession and indeed how most of our assumptions on what makes an effective sales person are likely wrong. Finally, I want to share with you a wonderful post from Anne Kreamer in the Harvard Business Review “The Business Case for Reading Novels”. Kreamer starts by sharing her concern that we’ve all likely shared, guilt for taking the time to read for pleasure when there are so many worthy resources to help with our professional development. I used to feel the same way and my partner Joan only recently has rediscovered the absolute joy and benefits of reading for pleasure. The post makes a strong case for adding fiction to your reading list, based on research she discovered in Scientific American. Researchers have indicated that reading fiction helps build our understanding of real human emotion. My fiction suggestion is a Canadian favorite. Robertson Davies’ “Fifth Business“. The book demonstrates how our actions, no matter how intended can impact others beyond what we can see. What was on your Essential Reads from 2013 list?